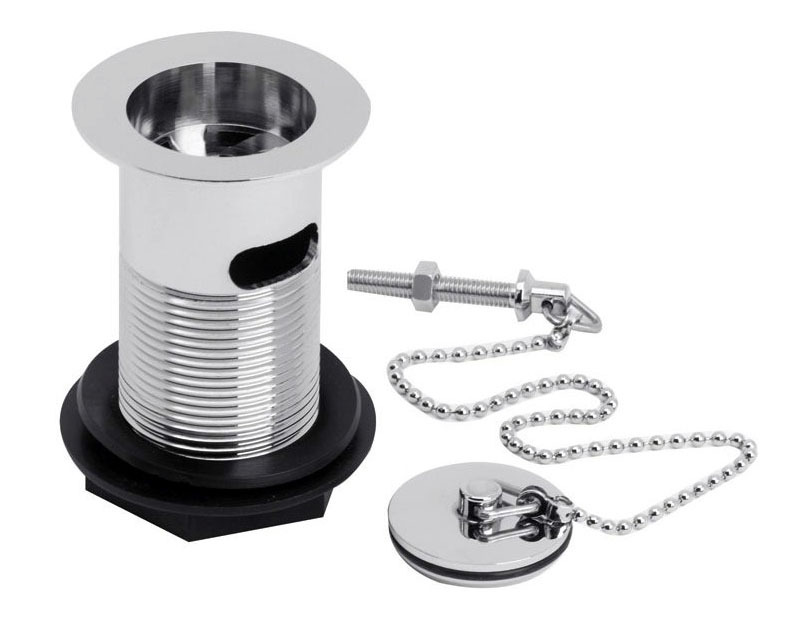 Standard Basin Waste With Plug And Chain - Only £5.99! In stock now for just £5.99 including VAT! Hurry while stocks last! A brass bodied Chrome Basin Waste with a robust solid brass chain for trouble free use. This chain is available in a choice of ball or link styles. The plug is manufactured in solid brass with a chrome finish. A new waste is necessary to complete your bathroom upgrade, and can be purchased from VIP Bathrooms at an extremely competitive price. The quality of this product is backed up by an outstanding 20 year guarantee as standard. This superb item is compatible with all the basins sold on this website. These excellent wastes are available with a choice of either Ball or Link chains. Both types are of equally high quality and both are available at the same great value price of just £5.99 including VAT. When ordering, please specify your preference from the drop-down menu near the bottom of this page.